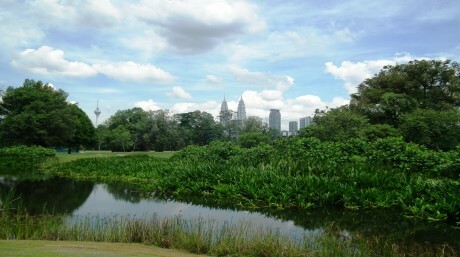 Malaysia is a country blessed with extensive coverage of wetlands, ranging from coastal mangroves to inland peat swamp forests to mountainous rivers and lakes. Wetlands are important ecosystems that provide a wide range of services and benefits including resilience to climate change, buffering against natural hazards such as floods and storms, water and food security and breeding grounds for many animal species. They play an important role in supporting the livelihood of local communities that live around them.They are also areas of significant spiritual and cultural importance as well as recreational activities. Wetlands store and distribute water in the landscape. Migratory waterbirds, freshwater fish, aquatic mammals and reptiles are particularly vulnerable to wetland changes as they depend on wetland sites and river systems for food and shelter. Yet these species – as well as the many wetland plants and small organisms that go unnoticed – are so essential for wetlands to be able to deliver their values and services to people. Population growth has increased the demand for food and shelter and has led to agricultural expansion and land development along with land conversion and unsustainable resource management. These activities are accelerating wetland loss and degradation. 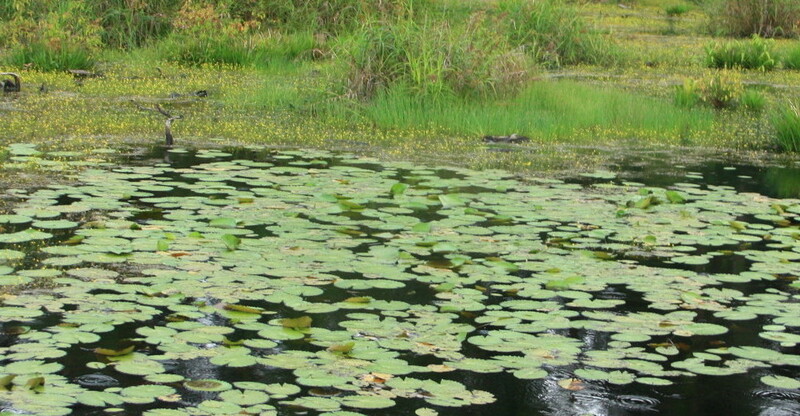 Since 1900, 64% of global wetlands have been lost or significantly degraded. As a result, records show an increase in natural hazard occurrences such as floods, peat fires, haze and biodiversity loss. Wetland knowledge and awareness are key components to the conservation and management of wetlands and their well-being. Wetlands International Malaysia work with a wide range of stakeholders to accumulate and document this knowledge. From the traditional and cultural knowledge of local communities to research findings of the scientific community; the knowledge acquired is used to promote greater awareness and facilitate knowledge sharing among stakeholder groups. 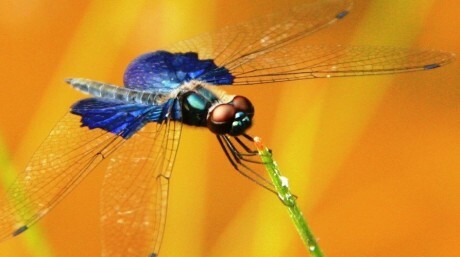 Wetlands are home to a rich abundance of animal and plant life. From mangrove forests filled with estuarine crocodiles, proboscis monkeys, mudskippers, to peatlands of orangutan and dragonflies or lakes of numerous birds and fish species. Wetland habitats play a significant role in the life cycle of many different lifeforms and communities. Constructed wetlands are man-made systems designed and engineered to emulate the functions and values of natural wetlands. People around the world value wetlands for many reasons: as a source of water, grazing for animals, fish for food, as well as other materials or simply as a place to relax and enjoy nature. By monitoring the status of wetlands and their species, we ensure that these values are safeguarded and restored – for humans and nature alike. How do you know if a wetland is healthy? How do you know if a wetland is under threat? And how do you take appropriate action to avert that threat? Monitoring - long-term, repeated data collection - is the foundation for managing and understanding wetlands and the lives they support. 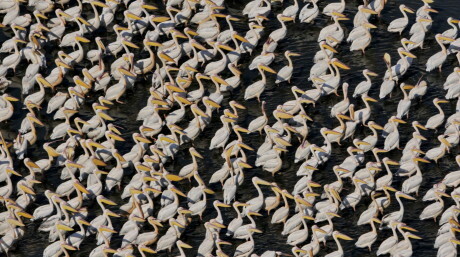 We coordinate one of the largest and longest running monitoring programmes in the world, the International Waterbird Census. Shell Brunei more aware of their ‘footprint’. For eg. they are doing canal blocking to raise water table of peatlands around Badas pipeline area in Brunei to reduce the risk of fires. Covering up access points created by Seismic survey to prevent poachers and people from entering peatforest. Kampung Belungkor Johor local community are more aware of the importance of conserving the Belungkor river and the mangroves. Local and government agencies involved in Toursim were invited to a seminar to promote Linting wetlands as an Eco-tourism site. 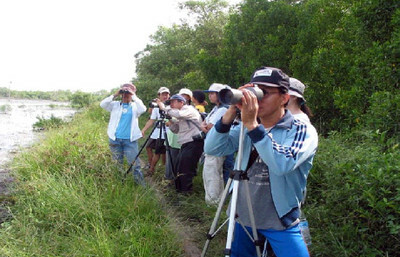 The seminar increased the publicity and interest of the area among the eco-tourism operators. Eco-tourism – Encourage local community to carry out eco-tourism activities. Train them as eco-guides and help them to develope activities that eco-tourists can take part in to appreciate the wetlands. Through eco-tourism the local communities have an alternative livelihood and this enable them develope a keen interest in the wetlands, its ecosystem and biodiversity. Use materials developed from wetland projects to educate people and develope people’s interest in the wetlands especially those from Institutions and corporate sector. Influence corporations eg. Cargil Malaysia on mangrove replanting projects. Raised awareness of their staff about the wetlands and to think and go green.